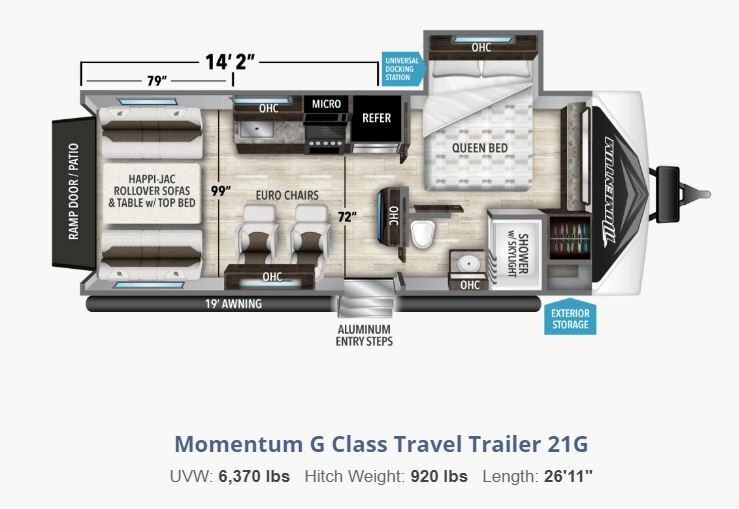 The public has spoken, and Grand Design has answered with the introduction of the new Momentum G-Class to its toy hauler lineup. The lighter G-Class series is built without surrendering any of the quality, innovation, and functionality that Momentum owners have come to love. 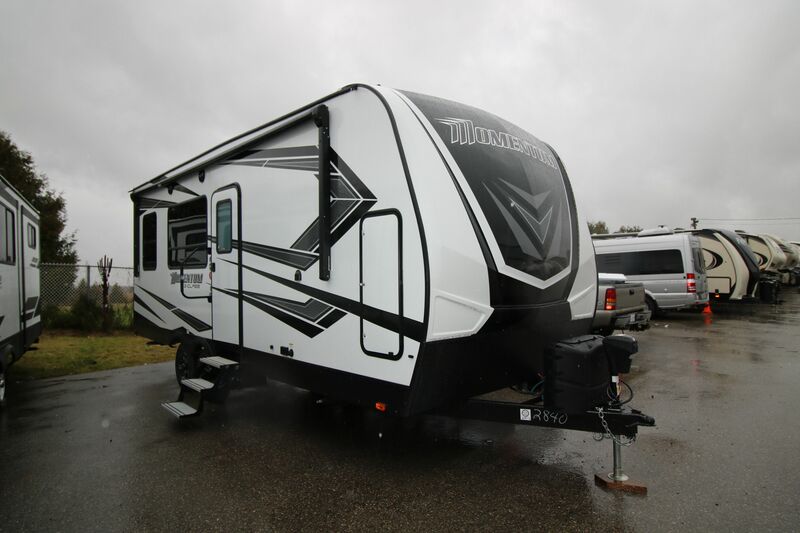 Ceiling and slide out heights still stand tall along with our wide-body platform to create a feel of spaciousness. 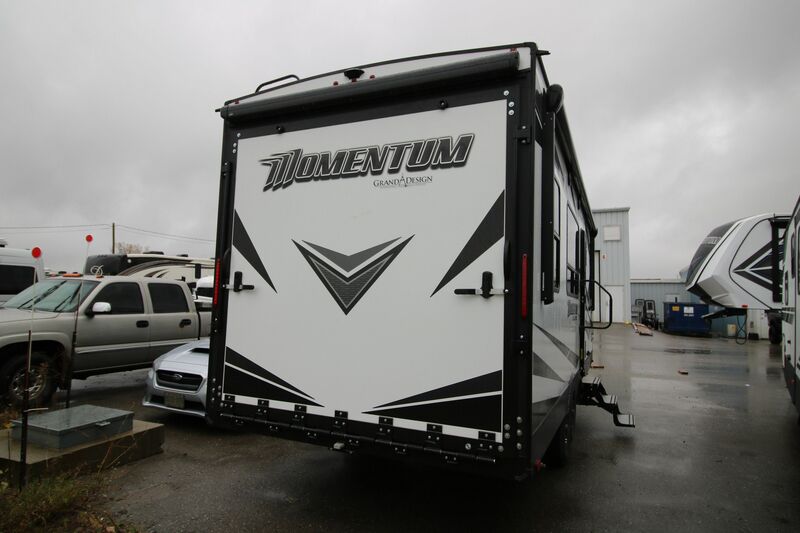 Can Am is proud to represent this exceptional travel trailer. Call today to see what the excitement is all about.